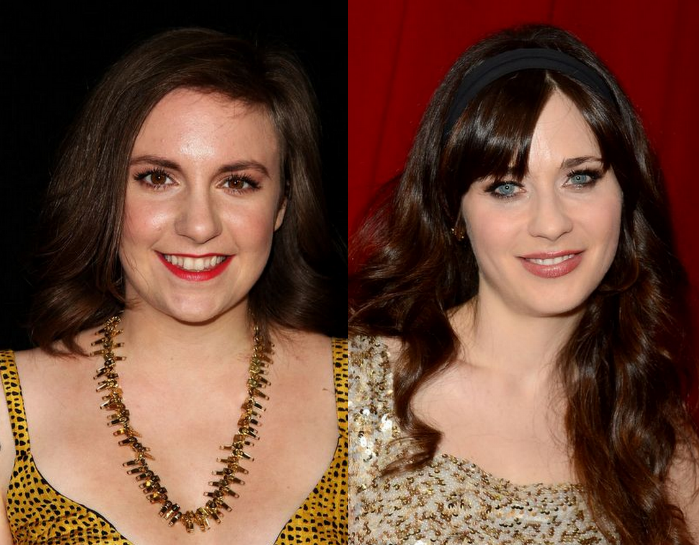 As far as our favorite small screen sirens go, Lena Dunham and Zooey Deschanel are just about as great as it gets. Besides both being hilarious, quirky, and starring in shows with the word “girl” in the title, they both just nabbed Emmy nominations for Outstanding Leading Actress in a Comedy Series. Their fame is of a special variety because they’re the kinds of wonderful people you not only want to watch on television, but you also want to be friends with. Plus, considering these two are bonding over one of our favorite trends, they just scored quite a few brownie points with the Beauty High team. Lena told Vulture that when she got the Emmy call this morning – nominated for four awards – she and Zooey spoke on the phone in disbelief that their names were in the running with some of their favorite famous funny ladies. Then, about she and Zooey, Lena said, “Also, we’re planning our Emmy nails. I have a couple ideas … I don’t want to say. I want to shock the world with what I do and/or be stopped from painting my nails a very strange color by my smart and crafty publicist.” We’re waiting with bated breath to see what kind of nails these two bring to the table in September, especially after Zooey’s now infamous tuxedo nails at the Golden Globes.